Almost 30 years ago to date on Acharon Shel Pesach in 5744-1985 the Rebbe launched a new campaign - Mivtza Rambam. That day the Rebbe charged each and every Jew the world over to unite through learning a daily Shiur in Rambam, and to date tens of thousands of Yidden have joined the Rebbes call. However, for many (and especially young Bochurim) some hardships can arise that prevents them from properly learning the daily Shiur. 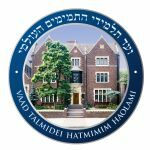 Considering the many: hard words, new concepts, complicating subjects, mass of information or just a lack of time, many Bochurim are in need of something to help them learn Rambam properly in an organized, enlightening and timely manner. What resulted was the Rambam Learning Initiative. With the help of several Roshei Yeshivos we began to create a new Rambam curriculum that will help address these issues. We translated hard words, explained "foreign" concepts and topics and have split up each Halacha into sentences and paragraphs for easier learning. Review sheets and quizzes were prepared as well, to help the Bochurim remember that days Rambam. All-and-all those who are using these tools feel that it is enabling to relate to what they are learning much easier! In honor of Yud Alef Nissan, we have launched a beautiful Mivtzah to help Bochurim put the proper focus to their learning. Each Yeshiva sets up a time to learn Rambam together in the setting of a Shiur or chavrusas. Any Bochur that attends, learns and takes the quiz on the daily Shiur Rambam will be rewarded both periodically and at the completion of of Sefer Ahava. (That was on 12 Nissan). The program has been enthusiastically received in Yeshivos all over the world and the report of Bochurim who have enriched their learning of Rambam is very gratifying. To date 21 Yeshivos and over 1200 Bochurim are using the new Rambam and participating in daily Shiurim and quizzes. At the end of the program we are giving every student that completed the entire six-week program a beautiful Sefer. There is no question this is an unbelievable mivtzah with tremendous potential, and one that no doubt is giving our dear Rebbe much Nachas, with so many Bochurim adding in learning Rambam for Yud-Alef Nissan.